As a healthcare professional, it is your responsibility to help your patients achieve their optimum level of health and fitness. One of the best things you can do to help patients improve their health is to educate them with regard to proper nutrition, which will be beneficial to every patient regardless of his or her current condition. Below are some tools for food education to help you provide guidance to your patients. ChooseMyPlate.gov is a website maintained by the United States Department of Agriculture. It offers a host of information about nutrition, including suggestions for calorie intake, content regarding weight management and guidelines for incorporating the appropriate portions of each food group into the diet. In addition, this website also offers tools that patients can use to track their food intake and physical activity in order to meet specific fitness goals, as well as a BMI calculator, recipe ideas and printable materials that may be beneficial. My Fitness Pal is a tool that patients can use to lose weight, maintain their current weight or even gain weight. After signing up for an account, patients can input their current weight, height and future goals into the tool. My Fitness Pal will then determine how many calories the patient needs to eat in order to achieve his or her specific goals. Each day, patients can use My Fitness Pal to track their eating habits and physical activity. This tool can also keep track of other important things, such as the amount of sodium, carbohydrates and protein the patient has consumed. For added convenience, My Fitness Pal offers both a web-based tool and a mobile app. The Healthy Eating Planner is maintained by the Dairy Council of California. With this tool, you can show patients how to plan healthy, nutritious meals for themselves and their families. The Healthy Eating Planner is free to use and makes recommendations based on the user's height, weight, activity level and other important characteristics. Allrecipes.com is a popular website that contains thousands of user-generated recipes. The site allows users to search for recipes by keyword, ingredient and much more. In addition, users can browse recipes that have been deemed "healthy" based on their nutritional information. Every recipe posted on the site includes a nutrition profile that details the calories, fat, sodium and other components of each serving. Allrecipes also offers a meal planning tool that patients can use to plan healthy meals in advance. Geared toward educating children, Fuel Up to Play 60 is the ideal website for nurses who work with young patients. This website offers resources for students and educators alike, including interactive online activities, lessons, games and much more. All of these resources are designed to educate children and inspire them to eat healthy meals. 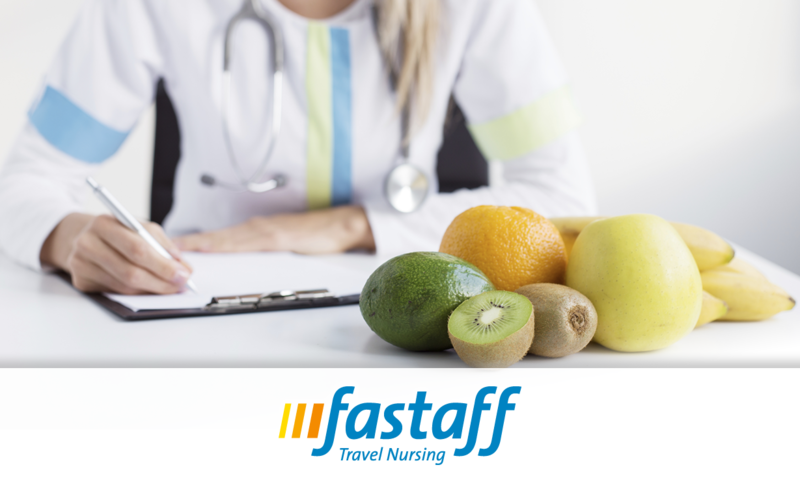 As a nurse, teaching patients about nutrition is one of the best things you can do to help them improve their health. Whether you spend your entire career in a local clinic or work in multiple locations as a travel nurse, the tools above will help you provide your patients with the knowledge and resources they need.